by Ellis, George F., Williams, Ruth M.
Ellis, George F., Williams, Ruth M.
This text explains special relativity and the foundations of general relativity theory in terms understandable to undergraduates in mathematics and physics coming to the subject for the first time. Space-time geometry is emphasized throughout, providing a basic understanding of the special relativity effects of time dilation, length contraction, and the relativity of simultaneity. Bondi's k-calculus is introduced as a simple means of calculating the magnitudes of these effects, and this leads to a derivation of the Lorentz Transformation as a way of unifying these results. The invariant interval of flat space-time is compared to that of curved space-times, and the basic properties of simple cosmological models are presented. 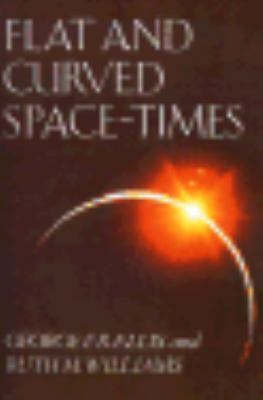 Appendices enable the advanced student to master the application of four tensors to the relativistic study of energy, momentum and electromagnetism.Ellis, George F. is the author of 'Flat+curved Space-times' with ISBN 9780198511694 and ISBN 0198511698.